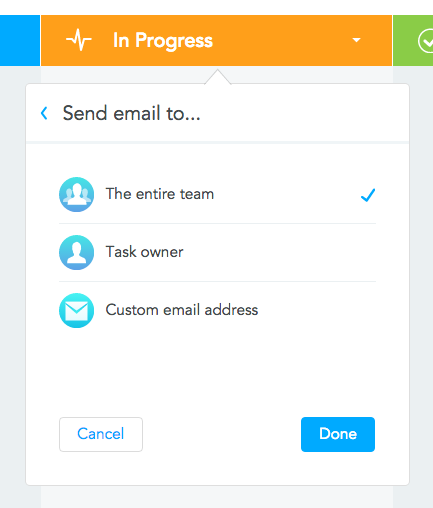 New Section Actions & Easy Printing from MeisterTask! 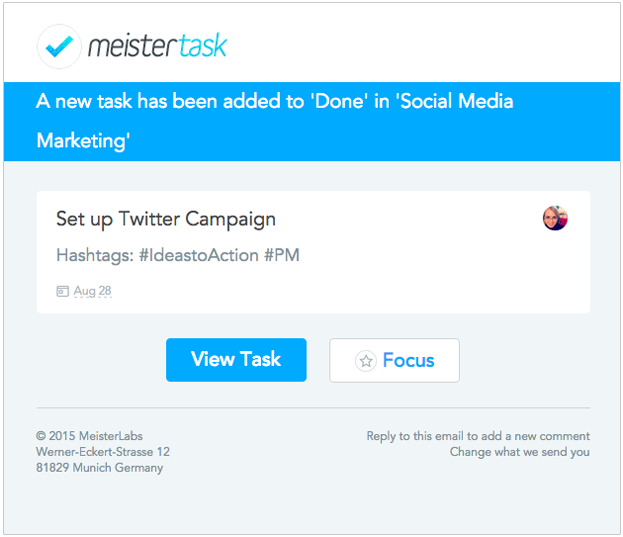 We have not one but two new and exciting MeisterTask announcements to share with you in this post! We’ve released two brand new sections and enabled printing from MeisterTask, meaning you can now print projects simply and efficiently. 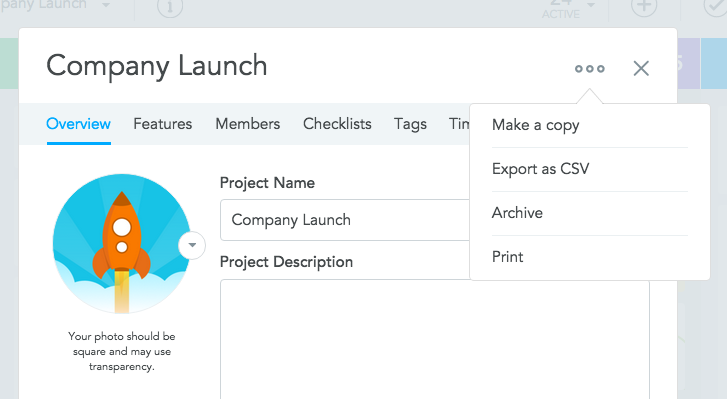 Read on for steps on how to utilize these two new functions! 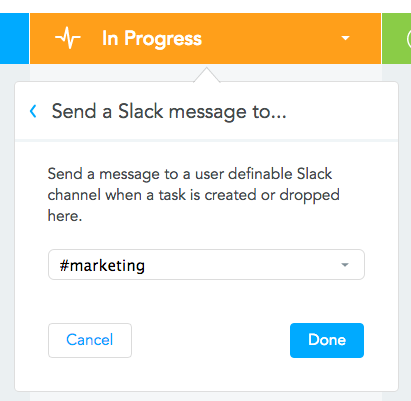 The new Slack Action automatically sends a message to a user definable Slack channel when a task is created or dropped into the section. 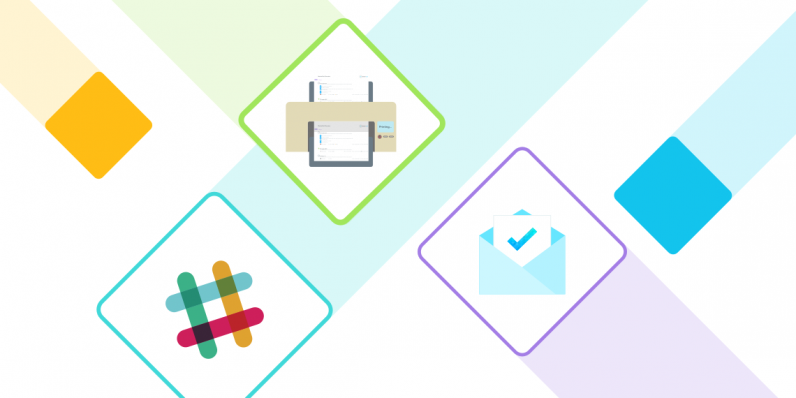 Connect your development team’s “Done” section to your #customer-support channel in Slack to keep support staff in the loop about bug fixes in your products. 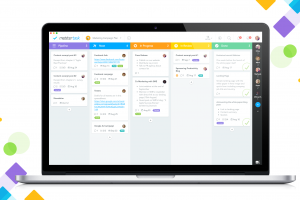 Connect the “In Progress” section of your software sprint to the #marketing channel in Slack. 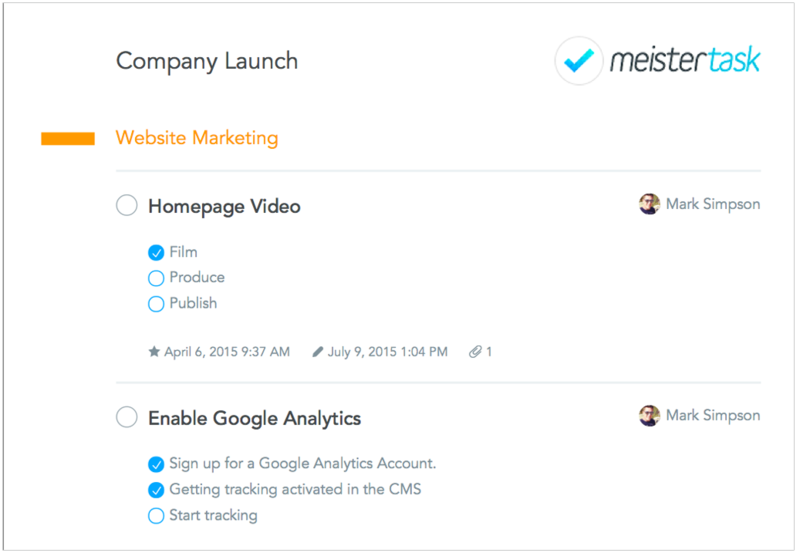 That way your marketing team stays informed about upcoming features and can prepare related promotions in time. 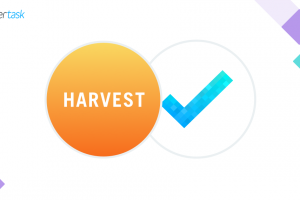 This action triggers an automatic email whenever a task is created or dropped into the particular section. 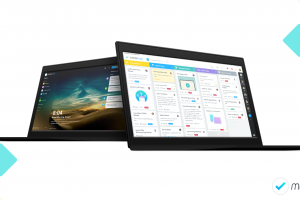 The email can be sent to the task owner, the entire project team or a custom email address. In your “Sales Funnel” project, set up an email notification for the “Transacted” section to notify your superior of the successful closure. 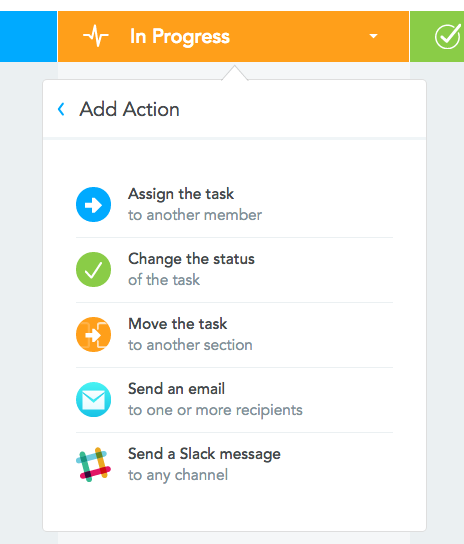 Inform stakeholders who are not part of your project or Slack team (e.g. clients, business partners etc.) whenever a task is moved into the “For Review” section. Please note: All Section Actions are currently available for free but will eventually become part of MeisterTask Pro (coming soon!). Need a hard copy of your project for a meeting or status report? No problem, with our new print feature you’ll create an elegant print version in seconds. Just open project settings and click on the three gray dots in the upper right corner. Select Print from the drop-down menu. 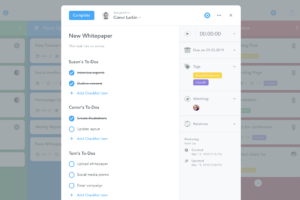 The print version will list all tasks from your project starting with the first task in the first section on the left. 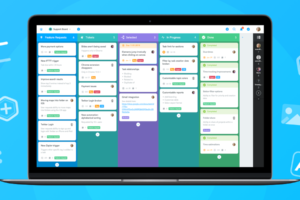 Tasks will be grouped by section and display all relevant information from checklists to deadlines. 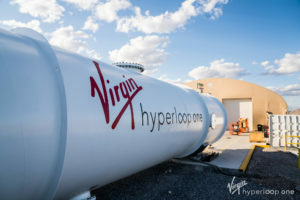 Comments and attachments that may have been added to the task will be indicated with icons.